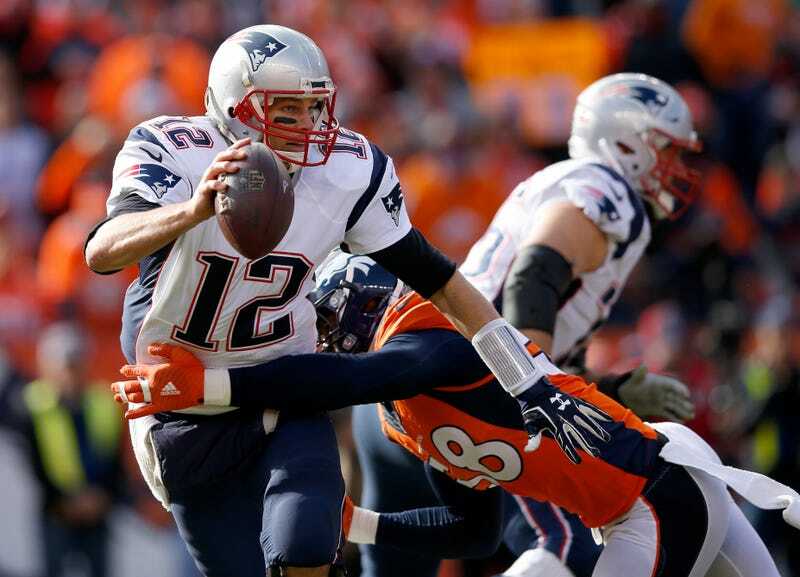 The Denver Broncos went into Sunday’s AFC Championship game with a clear mission: Hit Tom Brady as many times as possible, and send the all-world quarterback running for his life. Thanks to The MMQB’s Robert Klemko, we know the Broncos’ intimidation campaign was mental as well as physical. To the three or four rushers the Denver Broncos sent careening towards Tom Brady on any given down, the five men standing in front of them might as well have been rec league hoopers taking on the Golden State Warriors. Sebastian Vollmer, Marcus Cannon and company were deserving of no more respect than a quick step to the inside and a sprint around the corner. And the quarterback was subject to all manner of indignity in a 20-18 loss. It was probably Von Miller who said that, right?